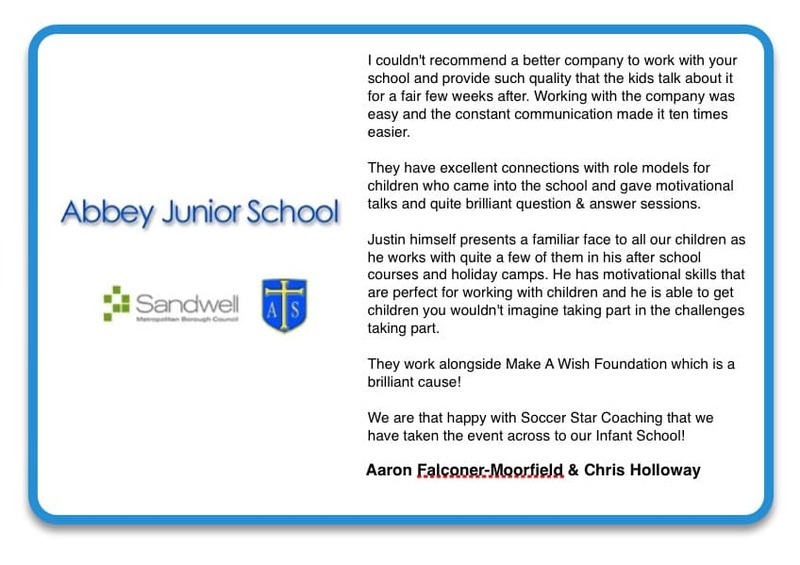 Testimonials - Football training for children, football coaching for kids, kids football skills. Soccer Star Coaching.Football training for children, football coaching for kids, kids football skills. Soccer Star Coaching. Read what other people are saying about our soccer coaching camps and courses. If you’d like to add your own testimonial, please do so using the form at the bottom of the page. Thanks to dubes,Justin,lewis,matt and the rest I have been there for about 5 to 6 years and have improved on my football skills.hope every one that I knew are still there and getting on great.hope you find really talented players and wish you good luck. Ellis Guilford School which began last Friday. football sessions in one week. for me to leave work in time to get him there for 5 o'clock. from being coached by him again. My son Jackson has attended most of the Wolverhampton camps for the last couple of years and since day one I have been impressed with Justin and the coaches. Not only do they bring an excellent level of coaching but as a parent I can relax knowing my son is in completely safe hands within a safe environment and enjoying himself. Jacko is now with Wolves and enjoying his first season at Sunday League level too and its great to see him using the skills that Justin honed with him during the camps. He gets very excited when he knows the camps are coming round again and will usually be seen helping out the younger or newer kids as he is an old hand now and one of the established faces at the Wolverhampton camps. Thanks to Justin and the gang for a job (ongoing) well done! My 2 boys look forward to training every week, they really enjoy ssc they have learnt alot of new skills and are always talkin about them and showin others how they are done and they have both really come very far the past few weeks since training with soccer star coaching. I would highly recommed them 2 others. 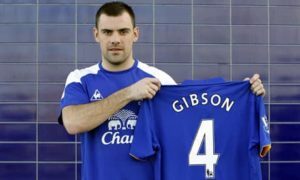 Darren Gibson - Midfield , Everton F.C. 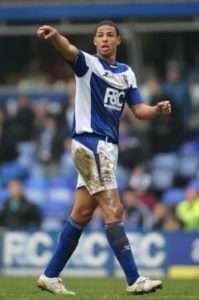 Curtis Davies - Defender , Birmingham City F.C. 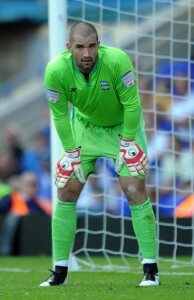 Boaz Myhill - Goalkeeper , Birmingham City F.C. “Justin is a good friend of mine and I've mentioned to him in the past that I wish I'd had something like this when I was growing up. Even though I played in teams from a young age this would have been the ideal chance to get some extra practice in and learn new skills. I take my 5 year old nephew along to one of Justin's football courses and every week I can really see an improvement in him. It's become the highlight of his week." Darren Carter - Midfield , Birmingham City F.C. Tony Capaldi - Left Back , Oxford United F.C. 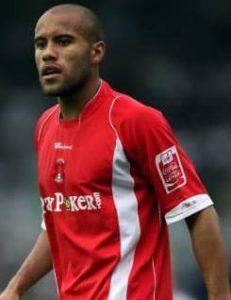 Adam Chambers - Midfield , Walsall F.C. 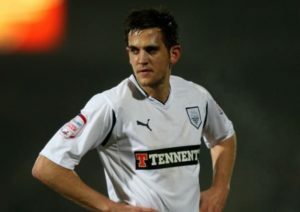 James Chambers - Defender , Doncaster Rovers F.C. 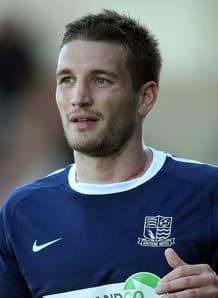 Peter Gilbert - Left Back , Southend United F.C. 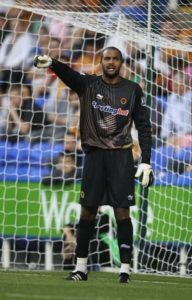 Karl Akimi - Goalkeeper , Wolverhampton Wanderers F.C. People forget how important grass roots football is. Soccer Star Coaching is a reminder of how important this level of the game is. Their ethos and discipline is a great learning curve for any young player. The skills and technique practices that they use are a big part of their success. Peter Whittingham - Midfield , Cardiff City F.C. "My son Declan has been going to soccer star coaching 4 about 6 months now and I have to say that the coaches are doing a fantastic job with the kids. They care for the kids genuinely - you can see it, and they teach the kids so much not just the skills, but discipline and good attitude too and encourage them all the time." "My son Tom has been attending both courses and camps for almost a year now. He loves attending on a Saturday morning and really enjoys it. I personally think the coaching is excellent and has helped Tom to improve his game immensely. 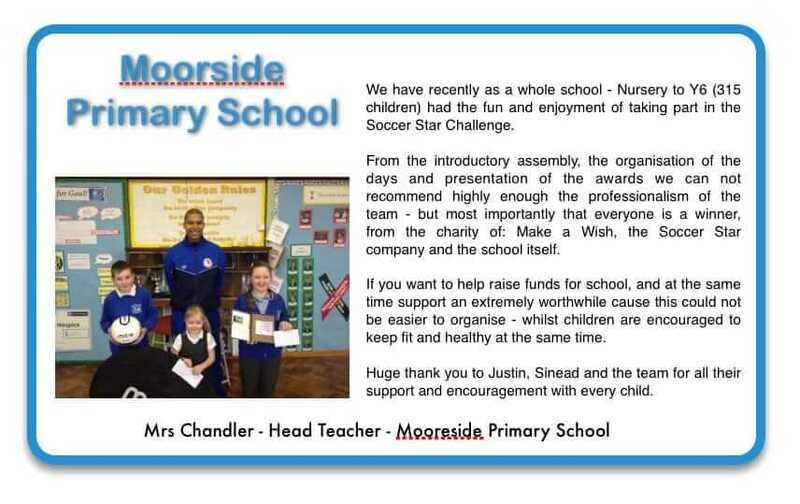 Thanks to Justin, Dean and Lewis, you all have got a very good way with the kids." "My son Camryn has attended Soccer Star Coaching courses for around 6 months now and we have seen an amazing difference and change not only in his football but also discipline too.Camryn overcame an illness over the christmas period and his football with Soccer Stars really helped him through. We've seen determination that he has never previously shown. And now since his soccer stars coaching Camryn has also been with Arsenal and is very soon going to Middlesbrough! I can definately say he would have never got this far without Soccer Star coaching. You guys do a great job and I'd like to thank you all for the wonderfull progress Camryn has made as he could not have done it without you!" "My son attends the 1 day soccer camp every year. He absolutely loves it and thanks to the camp is football crazy! Not only is he out and getting exercise doing a sport he loves, it's also cheaper than paying for his After school club where he would not be as stimulated! Well impressed!!!!" "My son Kyle thoroughly enjoyed his Soccer Star Coaching course and is chuffed to bits with all 4 of his trophies. I have signed him up for the weekly coaching course as I myself and kyle have been very pleased with your level of coaching and I personally have been very pleased with the way you have looked after the children." "Thanx for a jam packed week, sadly I can't return next year i'll be too old :o( Once again thanx so much for your time and effort. One of the best camps I have seen - would recommend it to anyone! thankyou :)"
"I can't thank the three of you enough for what you have done at the Oldbury Soccer Club. its great to see all the kids getting involved and enjoying themselves, your commitment to the children is outstanding, they actually listen to you. "well done" my son Joshua has been attending the club now for sometime and has quite a collection of trophies which he is very proud of and loves to show all the family everytime they visit. Its good be be a winner and boy does josh love to WIN. He's had a fantastic week at the soccer camp and I have to say what you said about our son has made us very proud of him." "Just Fantastic! Our son Joshua loves the course, he never shuts up about it! The coaches are fab! and we are all looking forward to the presentation day next week! i would defo recomend to all parent to get the kids in for the summer camp :) keep it going .. we never know we might see a future england star :)"
"Aidan has been on a one day camp and is coming to the end of his first 12 week course and is still as eager as ever. Come rain or shine he has not missed a session yet and he never moans of its wet and cold. He really enjoys the skills training and is volunteers for everything. He is so proud to be part of a team and I am proud of him too." "My friend's son goes to the coaching at Noel Baker school. He really enjoys the challenges he gets and I think the way the coaches handle the children is excellent. I have seen an improvement in his concentration and behaviour since he started to attend this course"
"My son is loving every minute of the soccer star coaching camp, he plans to go to every other camp they do. I find all the coaches very friendly and easy to speak to. They do such a good job working with a large group of kids and should all be very proud of the work they do. Well done to all of them and hope they keep these courses going, very great value for money so would recommend it to everybody who wants their child to do well in what could be their dream job "
"It seems as though everyone is loving the coaching sessions. Parents and kids are having a great time. My son Dyon (up the Villa) loves coming to footie training and really enjoyed the last 1 day camp and will be attending the next one. I highly recommend it to anyone considering sending their child, it's absolutely fantastic value for money and the kids have so much fun." "The Soccer Star Team ran two weekly sessions at the facility I previously managed. They are an excellent bunch of guys who are very professional and know how to motivate the youngsters. Look forward to working with them again." "Would just like to say my daughter is having a fab time at the Soccer Star Coaching. I think it is so nice that you all remember the names of the children, and the discipline, authority and organisation is excellent. Every child gets mentioned, nobody is left out of anything, keep up the good work." "My son came for his first time to Noel Baker Community Centre in Derby yesterday and just wanted to let you know that I thought it was fab!! It's so well organised and the coaches talked to the children like they were children not like adults which is very uncommon theses days. My son really really enjoyed it." encouragement, support, praise and the raising of low self-esteem is evident within these sessions and camps. Well done guys! If you parents haven't already joined the club, your kids could be missing out on something really great!"